Indiabulls Mutual Fund has launched the New Fund Offer (NFO) Indiabulls Ultra Short Term Fund, an open ended debt scheme. The NFO opens and closes for subscription on January 5, 2012. No entry and exit load charges is applicable for the scheme. The scheme offers dividend payout and growth option. The scheme will be benchmark against CRISIL Liquid Fund Index. The minimum application amount is Rs 5000 and in multiples of Rs 1 thereafter. 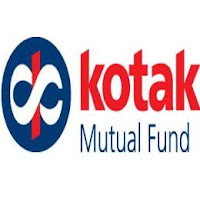 The fund managers for the scheme will be Raju Sharma and Puneet Srivastava. The investment objective of the scheme is to provide liquidity with returns commensurate with low risk through a portfolio of money market and debt securities.